Nmap 5 has a really cool feature: you can scan a network and dump its map to SVG. Inkscape is turning out to be a really nice vector drawing program. Map your network using Nmap. Tweak that map to your liking using Inkscape. Search the interwebs for decent SVG network elements until you have to explain the foul language and crying to your wife. This is something Visio is famous for (network art, not the foul language and crying). Search for “visio stencils” and you’ll be bombarded with all sorts of network shapes, from major equipment manufacturers to ones that look like crayon art. Where are all the cool SVG network elements? Quantum Bits made a nice start, but we need a lot more than that. This entry was posted in Infrastructure and tagged inkscape, nmap, plumbing, svg. Today I followed the announcement of the new Chrome OS from Google and the acclaiming response it received. Am I the only one thinking: very simple, maybe TOO simple? Since the beginning of the �browser as an OS� idea, I always wondered how I am supposed to run my favorite program, Wireshark, in a browser. Wireshark, of course, is an example, but many people do things with computers that don�t translate well into the cloud paradigm. Will they just be dismissed by OS manufacturers as a �nerdy minority�? Or will they need to stick with old uncool OSes to do their things? 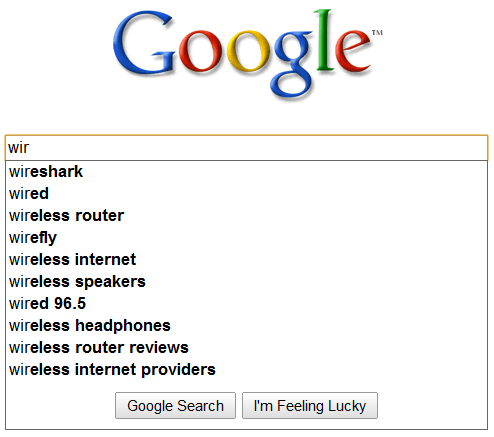 I�d like to be cool too, Google, but I�d still like to run Wireshark. Another thing I feel weird about: Google is telling me not to worry about data loss, because from now on all my documents will be online. Nothing will need to be saved locally. Actually, I like that my documents stay in my computer. Am I really the only one in the world? I�m not only talking about personal stuff like the love letters to my wife or the drunk pictures at the party last week. What about the trace files that I get all the time from customers? Will they have to go online too? Hmm, I�m sure my customers will love having them on Google�s server. I can already hear the objection: “this OS is for netbooks, and netbooks are only used for simple things like going online, so this is perfect for them”. Actually, I love using Wireshark on a netbook! Together with an Airpcap adapter, it�s the perfect portable wireless troubleshooting station. Does Wired 96.5 have a morning zoo? This entry was posted in Info, Infrastructure, Pictures and tagged google. It's a trace file, not a commentary on PayPal. This entry was posted in Pictures and tagged icons. The Windows 7 taskbar does this nifty little background animation when you mouse over an open application’s icon. I wanted to see if the effect could be duplicated on a web page. You can see it all in action on the demo page. Combining this with jQuery animation is left as an exercise for the reader. The effect works in Firefox, Safari, Chrome, and IE 7+. IE 6 has trouble with the transparent PNG. Sharkfest ’10 will take place at Stanford University from June 14 to 18. I’ll follow up when I have more details. Laura Chappell will be hosting another tools, troubleshooting, and security summit in Santa Clara, CA December 7th, 8th, and 9th where I’ll be a special guest. See you there! This entry was posted in Announcement and tagged laura chappell, training. Marsh Ray and Steve Dispensa have an excellent writeup of the recently-discovered renegotiation bug in SSL and TLS. It really is excellent, too. I’m not just saying so because they provide a bunch of sample captures showing renegotiation in action or because Wireshark is prominently featured in their discussion. In related news, the secure web is no longer secure and civilization will soon collapse.